Compilers: Principles, Techniques, and Tools  $ — aka "The Dragon Book" ; widely considered "the book" for compiler writing. Some books on this topic that I found particularly helpful was Compilers Principles and Techniques  (or the Dragon Book, due to the cute dragon on the cover). It's got some great theory and definitely covers Context-Free Grammars in a really accessible manner. Also, for building the lexical analyzer and parser, you'll probably use the *nix tools lex and yacc. And uninterestingly enough, the book called " lex and yacc " picked up where the Dragon Book left off for this part. I think Modern Compiler Implementation in ML  is the best introductory compiler writing text. There's a Java version  and a C version  too, either of which might be more accessible given your languages background. The book packs a lot of useful basic material (scanning and parsing, semantic analysis, activation records, instruction selection, RISC and x86 native code generation) and various "advanced" topics (compiling OO and functional languages, polymorphism, garbage collection, optimization and single static assignment form) into relatively little space (~500 pages). I must confess I have a serious soft spot for Niklaus Wirth's Compiler Construction. It is available online  as a PDF. I find Wirth's programming aesthetic simply beautiful, however some people find his style too minimal (for example Wirth favors recursive descent parsers, but most CS courses focus on parser generator tools; Wirth's language designs are fairly conservative.) Compiler Construction is a very succinct distillation of Wirth's basic ideas, so whether you like his style or not or not, I highly recommend reading this book. If you want a book that is lighter on theory, Game Scripting Mastery  might be a better book for you. If you are a total newbie at compiler theory, it provides a gentler introduction. It doesn't cover more practical parsing methods (opting for non-predictive recursive descent without discussing LL or LR parsing), and as I recall, it doesn't even discuss any sort of optimization theory. Plus, instead of compiling to machine code, it compiles to a bytecode that is supposed to run on a VM that you also write. Or check out SLANG . This is similar to "Let's Build a Compiler" but is a much better resource especially for beginners. This comes with a pdf tutorial which takes a 7 step approach at teaching you a compiler. Adding the quora link as it have the links to all the various ports of SLANG, in C++, Java and JS, also interpreters in python and java, originally written using C# and the .NET platform. If you're looking to use powerful, higher level tools rather than building everything yourself, going through the projects and readings for this course  is a pretty good option. It's a languages course by the author of the Java parser engine ANTLR. You can get the book for the course as a PDF from the Pragmatic Programmers . The course goes over the standard compiler compiler stuff that you'd see elsewhere: parsing, types and type checking, polymorphism, symbol tables, and code generation. Pretty much the only thing that isn't covered is optimizations. The final project is a program that compiles a subset of C . Because you use tools like ANTLR and LLVM, it's feasible to write the entire compiler in a single day (I have an existence proof of this, though I do mean ~24 hours). It's heavy on practical engineering using modern tools, a bit lighter on theory. LLVM, by the way, is simply fantastic. Many situations where you might normally compile down to assembly, you'd be much better off compiling to LLVM's Intermediate Representation  instead. It's higher level, cross platform, and LLVM is quite good at generating optimized assembly from it. If you have little time, I recommend Niklaus Wirth's "Compiler Construction" (Addison-Wesley. 1996) , a tiny little booklet that you can read in a day, but it explains the basics (including how to implement lexers, recursive descent parsers, and your own stack-based virtual machines). After that, if you want a deep dive, there's no way around the Dragon book as other commenters suggest. This FAQ  should help you, and this tutorial  looks quite useful. Take a look at the book below. The author is the creator of ANTLR . 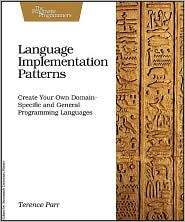 Language Implementation Patterns: Create Your Own Domain-Specific and General Programming Languages . One book not yet suggested but very important is "Linkers and Loaders"  by John Levine. If you're not using an external assembler, you'll need a way to output a object file that can be linked into your final program. Even if you're using an external assembler, you'll probably need to understand relocations and how the whole program loading process works to make a working tool. This book collects a lot of the random lore around this process for various systems, including Win32 and Linux. The Dragon Book  is definitely the "building compilers" book, but if your language isn't quite as complicated as the current generation of languages, you may want to look at the Interpreter pattern from Design Patterns . I remember asking this question about seven years ago when I was rather new to programming. I was very careful when I asked and surprisingly I didn't get as much criticism as you are getting here. They did however point me in the direction of the " Dragon Book " which is in my opinion, a really great book that explains everything you need to know to write a compiler (you will of course have to master a language or two. The more languages you know, the merrier.). 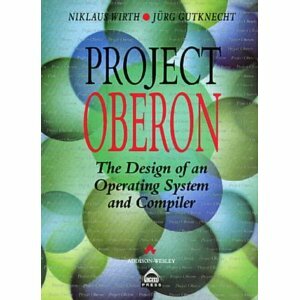 I would add the Oberon  book which contains the full source of an amazingly fast and simple Oberon compiler Project Oberon . I'd second http://compilers.iecc.com/crenshaw/ by @sasb . Forget buying more books for the moment. There's more stuff about what I found useful in learning to write a compiler on my Ur-Scheme  web page. The LCC compiler ( wikipedia ) ( project homepage ) of Fraser and Hanson is described in their book "A Retargetable C Compiler: Design and Implementation". It is quite readable and explains the whole compiler, down to code generation. I hear the Dragon Book  is a (the?) place to start, along with searching. :) Get better at searching, eventually it will be your life. If you are interested in writing a compiler for a functional language (rather than a procedural one) Simon Peyton-Jones and David Lester's " Implementing functional languages: a tutorial " is an excellent guide. I liked the Crenshaw tutorial  too, because it makes it absolutely clear that a compiler is just another program that reads some input and writes some out put. And read On Trusting Trust , to get a clue about the unobvious things that can be done in this domain. You can use BCEL  by the Apache Software Foundation. With this tool you can generate assembler-like code, but it's Java with the BCEL API. You can learn how you can generate intermediate language code (in this case byte code). The Dragon Book is too complicated. So ignore it as a starting point. It is good and makes you think a lot once you already have a starting point, but for starters, perhaps you should simply try to write an math/logical expression evaluator using RD, LL or LR parsing techniques with everything (lexing/parsing) written by hand in perhaps C/Java. This is interesting in itself and gives you an idea of the problems involved in a compiler. Then you can jump in to your own DSL using some scripting language (since processing text is usually easier in these) and like someone said, generate code in either the scripting language itself or C. You should probably use flex/bison/antlr etc to do the lexing/parsing if you are going to do it in c/java. I'm surprised it hasn't been mentioned, but Donald Knuth's The Art of Computer Programming was originally penned as a sort of tutorial on compiler writing. Of course, Dr. Knuth's propensity for going in-depth on topics has led to the compiler-writing tutorial being expanded to an estimated 9 volumes, only three of which have actually been published. It's a rather complete exposition on programming topics, and covers everything you would ever need to know about writing a compiler, in minute detail. Missing from the list: Garbage Collection: Algorithms for Automatic Dynamic Memory Management, by Jones and Lins. (Assuming you're writing the compiler and runtime system, and that you're implementing a garbage collected language. I am recommend "Programming Language Processors in Java: Compilers and Interpreters", an amazing book for a self-taught computer programmer. From my point of view, understanding those basic language theory, automate machine, and set theory is not a big problem. The problem is how to turn those things into code. The above book tells you how to write a parser, analysis context, and generate code. If you can not understand this book, then I have to say, give up building a compiler. The book is best programming book I have ever read. There is an other book, also good, Compiler Design in C. There is a lot of code, and it tells you everything about how to build a compiler and lexer tools. Building a compiler is a fun programming practice and can teach you heaps of programming skills. Do not buy the Dragon book . It was a waste of money and time and is not for a practitioner. Whenever I want to try out a new language idea, I just write a simple parser, and have it generate some language that's easy to get good compilers for, like C.
How do you think C++ was done? If you're not just looking for books, but also interested in web sites that have articles on the topic, I've blogged about various aspects of creating a programming language. Most of the posts can be found in my blog's "Language Design" category . In particular, I cover generating Intel machine code manually, automatically generating machine- or bytecode, creating a bytecode interpreter, writing an object-oriented runtime, creating a simple loader, and writing a simple mark/sweep garbage collector. All of this in a very practical and pragmatic way instead of boring you with lots of theory. Would appreciate feedback on these. Start by making sure you can answer most of the questions tagged C++ here on Stack Overflow. After that, you should make sure you understand how other compilers work and understand [parts of] their source code. You'll notice you need assembler and will start learning assembler until you can answer many questions with that tag.